Why work in a cubicle when you can park your office in a new place every day? The mobile Minim Workspace can be parked anywhere that’s legal to park a car for an extended time period. 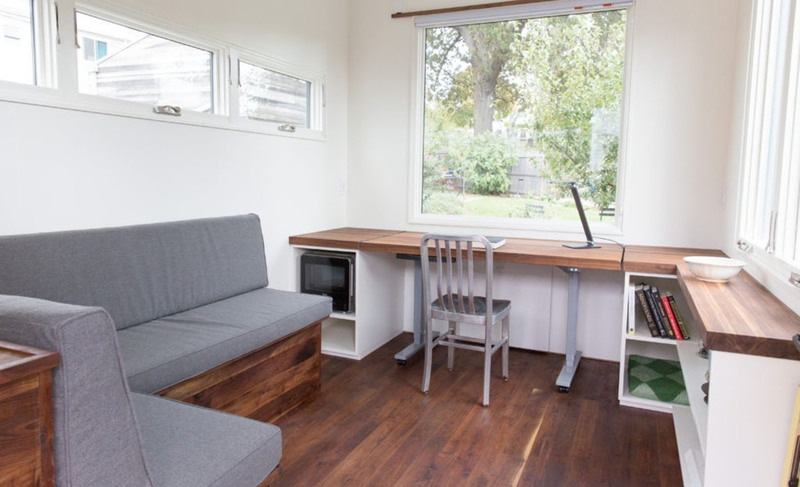 The trailer, which can be used as a studio and home office, is cousin to Minim House, an award-winning mobile micro home that received three American Institute of Architects awards for design. The 80-square-foot Minim Workspace is cost effective, flexible and provides a private, quiet office space. The full office model includes a keyless entry, a five-foot electric sit or standing desk with a conference table, six-foot sofa, noiseless AC system, LED lighting, a microwave, sink, and a fridge. Related: Tiny workplace on wheels can make each day at the office different! The company also offers an off-grid option that includes a 1.5kW solar array, one battery bank, and all electronics necessary to fully power the Workspace, including lighting, outlets, heat, and air-conditioning. The off-grid system is not designed for continual full overnight use since it requires some sun exposure, and must be switched off when the Workspace is unoccupied. Minim is currently accepting deposits for leased units within 75 miles of Washington DC, with delivery expected March 2017. Why work in a cubicle when you can park your office in a new place every day? The mobile Minim Workspace can be parked anywhere that's legal to park a car for an extended time period. The trailer, which can be used as a studio and home office, is cousin to Minim House, an award-winning mobile micro home that received three American Institute of Architects awards for design. 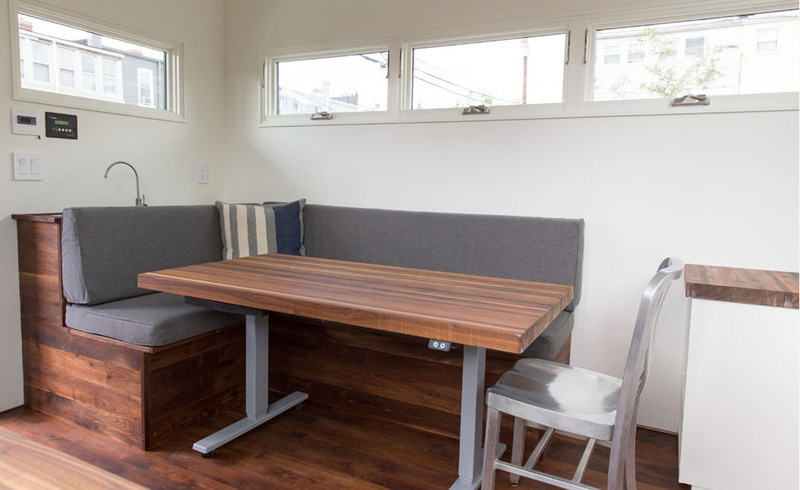 The 80-square-foot Minim Workspace is cost effective, flexible and provides a private, quiet office space. The full office model includes a keyless entry, five-foot electric sit/standing desk with a conference table, six-foot sofa, noiseless AC system, LED lighting, a microwave, sink, and a fridge. The company also offer an off-grid option which adds a 1.5kW solar array, one battery bank, and all electronics to fully power the Workspace- all lighting, outlets, heat, air-conditioning. The off-grid system is not designed for continual full overnight use since it requires some sun exposure, and must be switched off when the Workspace is unoccupied. Minim is currently accepting deposits for leased units within 75 miles of Washington DC, with delivery expected March 2017.